Firms are starved for value. If you’re like most legal professionals, you’re hunting for value (especially when you attend legal conferences). The definition of value varies from professional to professional, but the expectation is still there. 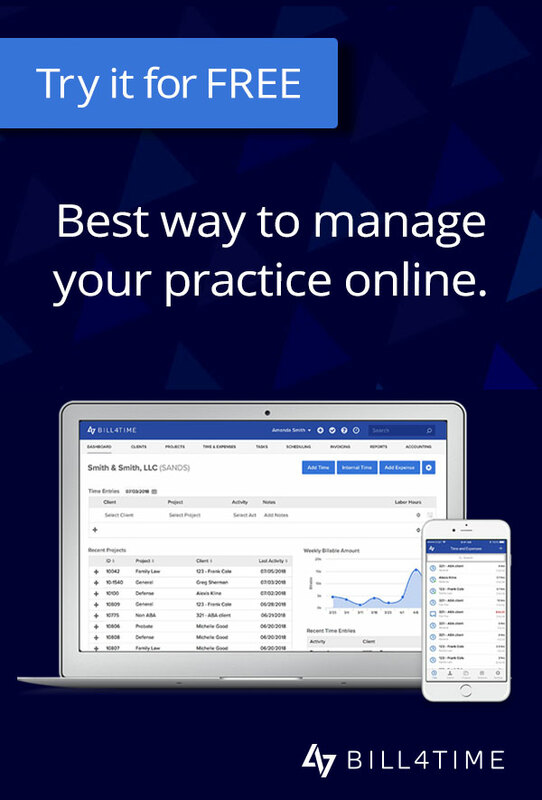 Maybe you’re looking for a way to automate repetitive functions in your practice. Or, you’re looking for a way to improve your firm’s productivity, utilization and realization rates. The specific nature of your challenges are unique, but the subject matter is similar to the needs of firms all across the country. The industry is changing and the pressure is on for each and every firm to provide more value in less time, with fewer resources and with less money. Here’s a short list of the challenges firms like yours are facing. Collection realization rates are falling while firms desperately increase their rates to compensate. It isn’t working for BigLaw and it isn’t working for solo/small firms. You have your own set of headaches and challenges you need to overcome in your firm. If you’re attending the ABA Legal TechShow, you’re probably searching for value. Booth #930 has your answer. Visit Bill4Time at Booth #930 and we’ll show you how to deal with the specific challenges your firm is facing on a daily basis. We’ll show you how to use reputation management tools (included with Bill4Time) to win reviews, referrals and praise from clients automatically. We’ll show you how to dominate search engine listings using this feedback to attract a disproportionate amount of leads for your firm. Your clients will do some digging on your firm in Google. They may approach with skepticism and doubt. Some may be curious. Most will be unsure. 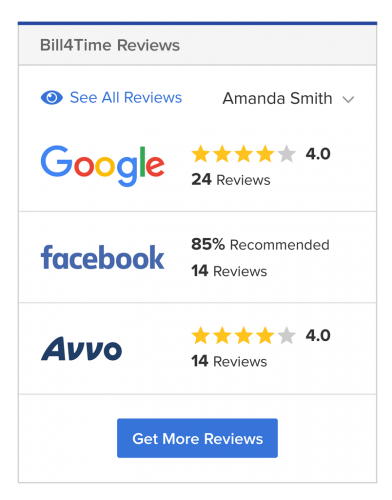 Reviews and a sterling online reputation converts a prospect’s doubt to confidence. Most practice management tools enable you to manage the clients you already have or deal with leads you’ve already generated. Bill4Time is the only tool that boosts your reputation organically, enabling you to attract new clients on autopilot. “What gets measured gets done.” Remember that saying? Many providers spam firms with data, giving them an avalanche of reports and KPIs to track. In the right context, there’s a lot of data firms can use to change their practice. There’s a huge caveat here that isn’t really being discussed. But what if you needed to customize your reports? What if you needed to measure something specific? The information you’ll need to glean from your individual reports. 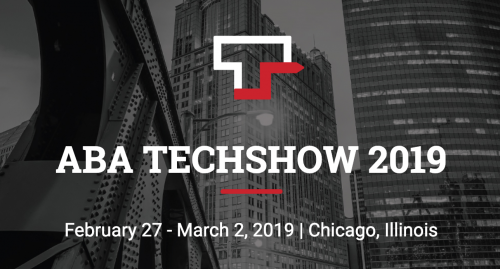 With the right approach, you’ll come away from this year’s ABA TechShow with a solution you can use to revolutionize your firm and surpass your competitors. If you outsource your thinking, you can make 50 to 70 percent more, instantly. At first glance, this sounds completely absurd. Why would any legal professional in their right mind let software think for them? What’s left for you to do if you do that? This objection is rooted in fear. There’s been a significant outcry about AI and the replacement of attorneys. But it turns out these fears were largely overblown. Legal professionals are more important than ever. This is why it’s important to outsource your thinking. Let me show you what I mean. Take time sheets for example. Most firms aren’t using time tracking software to manage timekeeping. Imagine that time tracking in your firm was automatic or semi-automatic. That each and every attorney could automatically track their time with the push of a button? Instantly making 50 to 70 percent more simply because you’re tracking all of your billable time, as-it-happens. All because you allowed software to “think” for you. Your team tracks their time the same way. There’s no thinking, discussion or debate about it. Your software sets (and enforces) firm-wide standards. 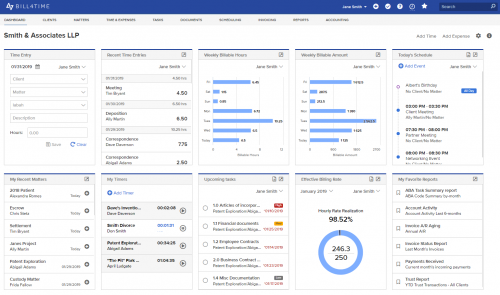 Your tasks, meetings, events and phone calls can be automatically converted to billable time. Your productivity, utilization and realization rates increase automatically. When software handles the routine thinking for you, you’re free to spend your thinking capital on the challenges that matter most. The definition of value varies from firm to firm, but the expectation remains the same. The industry is changing rapidly. Legal professionals, firms are being squeezed by clients. The pressure is on for each and every firm to provide more value in less time, with fewer resources and with less money. Visit Bill4Time at Booth #930 at this year’s ABA TechShow and you’ll find the value you need to grow your firm successfully.